Coming to Palm Bay, FL on 11/3! 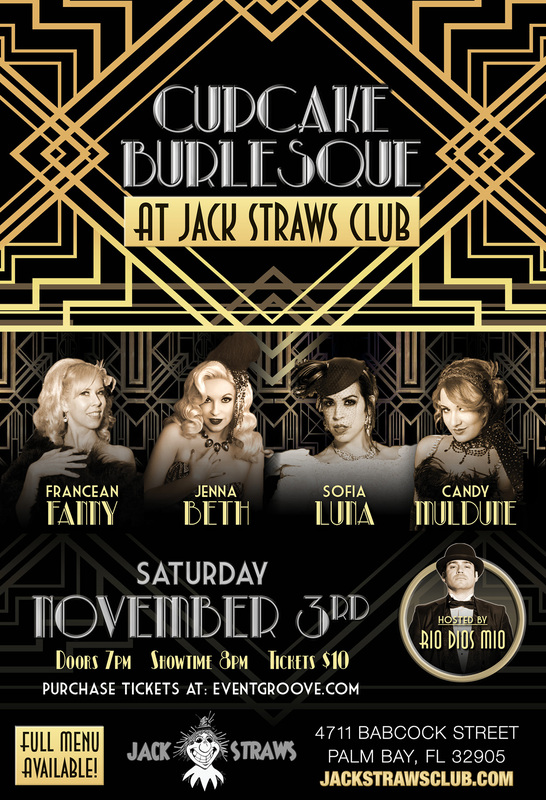 Cupcake Burlesque will be appearing for the first time ever in Palm Bay, FL at Jack Straws Club! Join us for this full-scale burlesque extravaganza on November 3rd as we bring you several of our best feature performers and all the glitz, glam, and titillating tease you need!